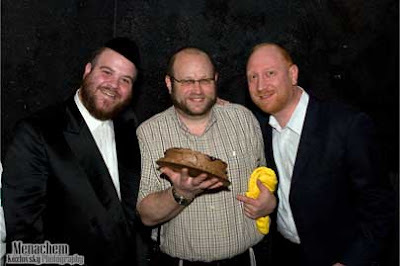 shloime gertner was suprised with a cake on stage in honor of his birthday. the event took place this past sunday april 12 at the "Pesach Time Tours & The Perl's pesach" program at the lancaster host resort in lancaster pa with the slogan "i got heimish with the amish". 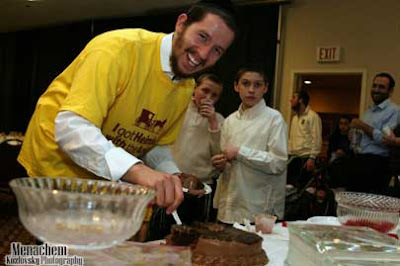 after the event shloime was seen giving out cake to the guests.